nikkistyle™: A Cool Closet Organizational Tip, Called "Shoe Stacking"
Notes By Nikki! 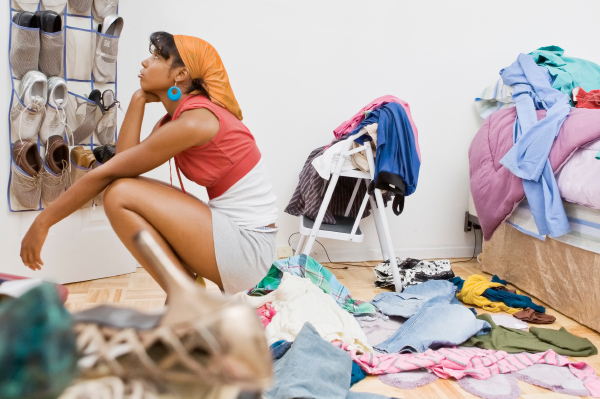 I enjoy trying new ways to better maximize closet space, and would like to share an organizational tip with you. When the shoe sales associate asks me at the register, "Would you like to keep the box?" My response was "no" most of the time, because I wanted to see my shoes lined up in the closet (Exhibit A), or alongside the bedroom wall. 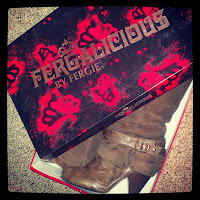 I believed that the approach gave me quick visual access to shoes I wanted to wear, daily. But then space became scarce due to the accumulation of new shoes bought each season, and the unforgiving dust bunnies started to move in. Not cool. Therefore, in efforts to maximize space, and to keep my beloved shoe collection looking brand new for many more seasons to come, especially the suede ones, I took note of a wonderful tip: Shoe Stacking...using inexpensive clear plastic bins (Exhibit B). I do keep some of the original shoe boxes if I can identify which stilettos, wedges, flats, flip flops, sneakers are in the box from the outside, but certainly have adopted the clear plastic container method as well -- since you can actual see the shoe in the box. 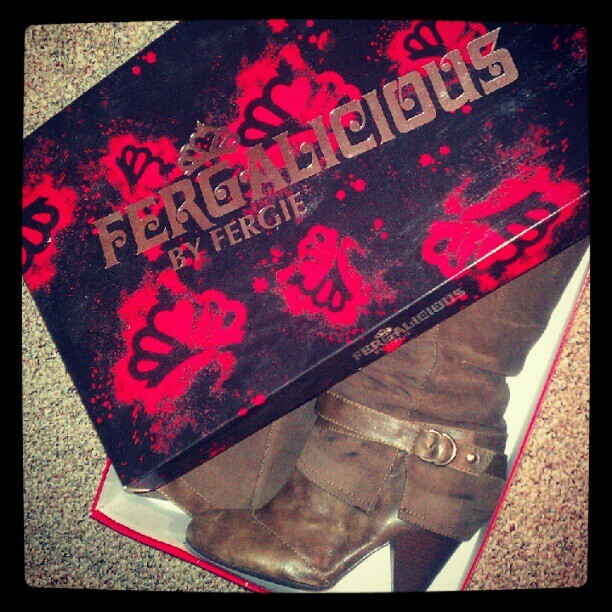 Though, selected shoe boxes are meant to be kept regardless, such as my Fergalicious boot box (right). After all, the red splashes of detail are pretty electrifying! Check back for more of my favorite organizational tips. Share your faves, too! 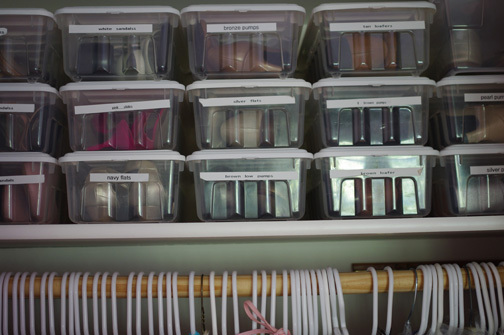 I shoe stack in clear bins and its helped my closet tremendously...Great post!